With the signing of Tale Of Us we added the shooting stars of the year to our festival‘s line-up. 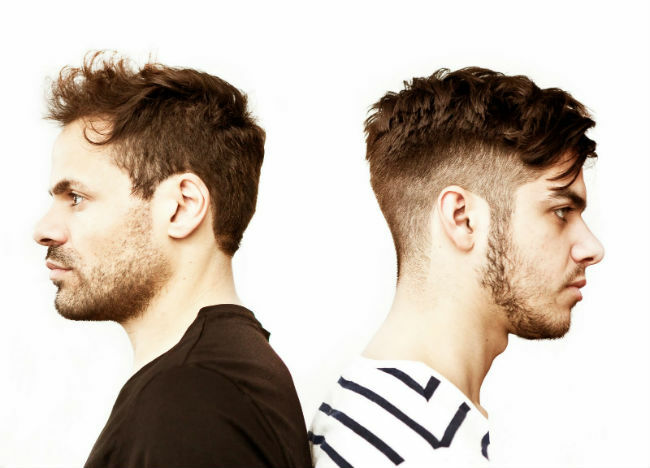 The Italian duo of Matteo and Karm has started to rewrite the rules of House Music about a year ago. Their mixture of House and Techno with dashes of Nu-Disco, Pop and even Rock elements is so impulsive and emotionally deep, that you will feel goosebumps all over your body. With their destinctive sound they are among THE Slo-Mo-house pioneers just next to the Wolf & Lamb family and Art Department. Meanwhile it has become almost a MUST to own a remix by them. Labels such as Kompakt, Life & Death, or Visionquest favour them as much as WhoMadeWho, DJ T., Thugfucker, GusGus and many more. We hope that Tale Of Us will continue to produce many more beautiful songs for us to enjoy and we really do look forward to a great set at FLY BerMuDa 2011.